Welcome to our practice, where we treat patients like family and we care about each other’s individual health and well-being. 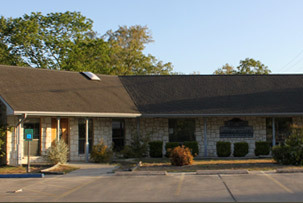 Dr. Cooper has been offering comprehensive dental treatment since 1995 with a well-trained and experienced staff, including three dental hygienists. We are equipped with the latest in dental technology, making dental visits more pleasant and much shorter. Our practice cares about your health and how you feel about your smile. We stand ready to assist you in the treatment you need to maintain optimum dental health and appearance, helping you to feel good about your smile. Our office is centrally located with easy access. Thank you for visiting our website. Please feel free to contact our office with any questions or to make an appointment. We look forward to welcoming you into our patient family!